When it comes to Super Mario 64 hacks, two names tend to be the first that come to mind. One is Super Mario 64: Last Impact, whose developer we interviewed about a week ago. And then there’s Super Mario Star Road. Aka the most well known Super Mario 64 ever made. 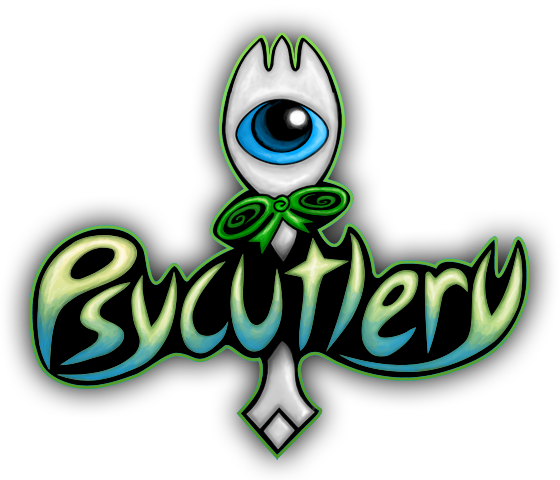 Released in 2011 by a hacker named Skelux, it featured 130 new stars across a wide range of interesting levels, as well as numerous ASM additions and custom mechanics years before most hacks had anything to match. In fact, the game became so popular and well known that it was featured on mainstream news sites, unofficially referred to as a Super Mario 64 sequel and even got some people claiming that it was the best Super Mario 64 ROM hack of all time. So to commemorate it and bring a bit more attention to its 3DS sequel, here’s our exclusive interview with Skelux himself! As is the norm, let’s start with a personal question. Can you tell us a bit about yourself in general? I’m some kangaroo Australian weirdo who has been ROM hacking as a hobby for nearly a decade. I’ve spent quite a lot of this time refining various skills for this such as coding, 3d-modelling, musical composition, and image manipulation among others. In present times I also work as a waiter which I’ve been doing for a couple of years, and moving into teaching IT by the end of the year. What got you interested in the Mario series? I’ve been playing Mario games since I was a kid, and found interest in modifying SM64 when I stumbled upon Toad’s Tool 64. After that I collaborated with someone in making the first major SM64 hack, The Missing Stars. He did most of it, I just made a couple of areas, most notably The Secret Woods level. So why Super Mario 64 in particular? Any reason you got into hacking that game rather than say, Super Mario Bros 1, 3 or World? Hacking 2D games has never really interested me much since there are more creative limitations, but every now and then I make something, i.e. the Legend of Zelda (NES) hack I made several years ago, or the Super Mario Land 2 (GB) hack I’m currently working on which will be released probably by the end of the month. Onto the original Super Mario Star Road now. What inspired you to make the game? I made Star Road because no one else had really made a full custom-model SM64 hack yet. I’m not too proud of most of the level models and game content these days, as they are extremely dated compared to my current standards and abilities. The DS port I’m making serves to correct that. The main point I make with my level designs is never to use the same theme twice. Other than that I just tried to be very creative and make the levels fun to explore. It was also a very technically advanced hack for its time, with stuff like custom enemies and blocks being present in later levels. How did you learn to program for the N64 to make this stuff possible? There were a few documents to get me started, and the rest I figured out myself. A lot of the functionality of current SM64 hacking is only possible because of the extensive updates I have made to the level-editing software. Many of the issues with the software at the time lead to limitations in the original Star Road, such as levels with small boundaries and a low polygon count, and buggy music importation. This especially affected the music level, ghost level and lava level, since the game would crash if there were more than about 1500 polygons. 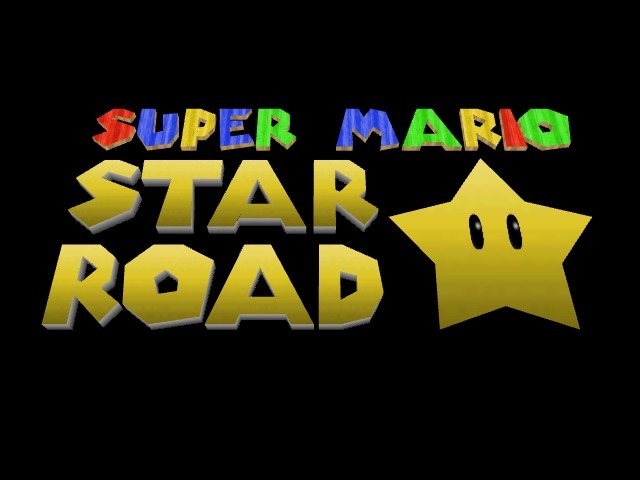 People’s reactions to Star Road have generally been pretty positive over the years, with some people calling it the ‘best Mario 64 hack ever’. Did you expect this amount of popularity or acclaim? I wasn’t expecting it to be quite this popular, no. I’m hoping my DS port can receive the same level of attention. Do you ever think you made some of the levels too easy or too hard though? The difficulty was somewhat inconsistent, I didn’t put a lot of thought into it really. A few general questions now. What’s your favourite level in the original Star Road, and why? My favourite might be the toy level, I just feel there are a lot of creative ideas in it. My least favourite is probably Mad Musical Mess, it was pretty bad compared to what I had originally envisioned – again, this was a result of buggy software. So it seems you’re remaking the game as a Mario 64 DS hack. What’s the reason for this? Did you just want to try out a different game engine? 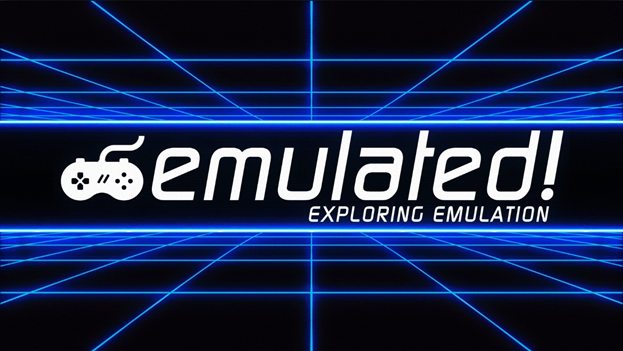 I like playing around with a variety of different game engines, plus I want to make a version of the game which doesn’t have all the drawbacks of the original – including being able to play it on real hardware. I also hear it makes some fundamental game design changes, like toning down Gloomy Garden or removing those bee enemies. Is that true? And what other changes do you have in mind for the DS version of the game? Yes, it is extremely different. If you’ve played the original Star Road, the DS port won’t just feel like a port. The level designs are very much improved, matching my current standards for game design. What about Yoshi, Luigi and Wario? How does the game accommodate them? I haven’t entirely figured that one out yet, I might be replacing Wario and/or Yoshi with different characters. They have new Power Flower abilities too. Does the level design now incorporate those? And they’re also usually locked up. Do you plan new levels to unlock them as playable characters? Are Goomboss, King Boo and Chief Chilly still the bosses in said levels? Yes, there are new levels where you unlock the characters, and some cool new bosses, none of the originals. Let’s talk about Star Road 2 now. What made you decide this wasn’t going to be another Mario 64 ROM hack? I’m very exhausted with working on SM64 particularly because of SM64 Multiplayer updates, the code for that is hundreds of lines long, also since I’m still having to constantly provide support and updates for the SM64 Editor. I also don’t like some of the limitations like a low polygon limit, low texture size limit, and that It won’t play on any real Nintendo device. So why a Super Mario 3D Land mod then? Because I liked Super Mario 3D Land, and think I can turn it into a much better game. This decision isn’t 100% set in stone to be honest, nothing is really set in stone this early in development, but It’s very likely the route I will proceed with. Mario 3D Land and 3D World are very different to Super Mario 64 and sequels in that they’re much more linear, with one or two exits a level at most. Is this also the case in Super Mario Star Road 2? Star Road 2 won’t be linear regardless of what engine I use, I’ll code in whatever elements are necessary to correct this issue. If so, does that mean each ‘level’ concept is now a world theme instead? Or are there 96 separate levels with their own themes and idea? What about Toad Houses? Are they in this game? Again, I don’t know yet. When development resumes I will figure out the details of that. And how about custom enemies? Any equivalents to the Angry Sun or bees in this game? Eds Note: The same answer was given to both these questions. On a different note, do you think Star Road 2 can inspire more people to mod Super Mario 3D Land? Like the original did for Super Mario 64 hacks? Yes, that’s one of the reasons why I like to jump between game engines, there are a lot of good tools out there which more people should put to use. And what are your plans for afterwards? Do you intend to make any more hacks after Star Road DS and 2? Have you ever considered making any indie games? I have a lot of ideas I’d like to make – Legend of Zelda II 3D, a Paper Mario hack, maybe some sort of Banjo Threeie. As for indie games, I’m interested in making an MMO, and maybe some VR games. Are there any other Super Mario 64 hacks you think look really promising? Or you enjoyed playing? What are they? I haven’t played many SM64 hacks, I’ve been too busy updating the tools and such. Kind of ironic, isn’t it? I did play some of the Star Road knockoff though, Super Mario Rainbow Road. Finally, what’s after Super Mario Star Road DS and Super Mario Star Road 2? More game mods? Some indie game development? Or are planning to quit game development altogether at one point? Already answered above. No, I don’t think there’s any point in the foreseeable future where I will quit. I’m receiving funding for my work these days, so all the more reason to continue. And so that wraps up the interview. We’d like to give a thanks to Skelux for agreeing to be a part of it, and we also hope to cover more of his work in future. But for now? 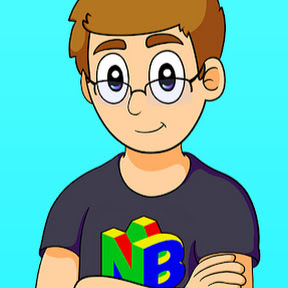 Check out his YouTube channel and Twitter page, and follow his progress on Super Mario Star Road 3DS and Star Road 2 from there. They’re both great looking Mario mods, and they’ll be 100% worth your time when they’re finally finished and released. But what did you think of the interview? Did you find it interesting? If so, post your thoughts on the article over at the Gaming Reinvented forums or on social media today!